The 15th annual YHRI World Educational Tour traveled 35,058 miles around the globe including to Costa Rica (top), The Gambia with the country’s President (bottom left) and Cambodia with the Human Rights Committee (bottom right). For 15 years, each year the President of Youth for Human Rights International Dr. Mary Shuttleworth traverses the globe on her annual World Educational Tour. 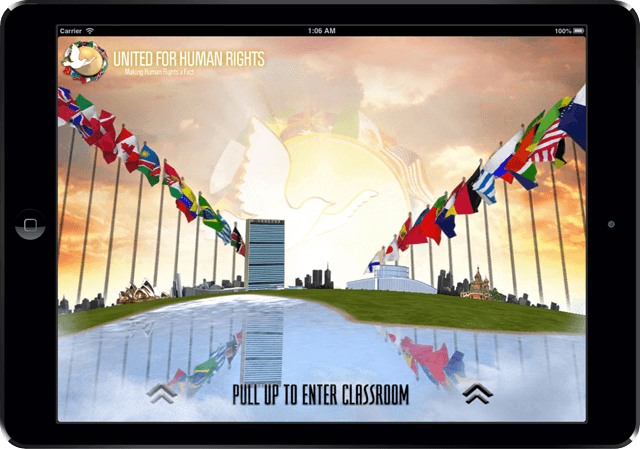 This year’s 35,058-mile (56,420 km) journey through seven countries was held in celebration of the 70th anniversary of the United Nations Universal Declaration of Human Rights (UDHR), which was adopted on 10 December 1948. The tour launched in Costa Rica, with events held in three schools where pilot YHRI projects were started. Meetings were held with the Vice Ministry of Peace and the Youth Council to plan national implementation, and all was supported by Nobel Peace Prize Laureate and former Costa Rican President Dr. Óscar Arias Sánchez and his wife Suzanne Fischel. The tour then hopped across the Atlantic to The Gambia. There the team was welcomed by President Adama Barrow. They delivered workshops in schools and held meetings with government officials, including the Ministry of Education, Ministry of Youth and Sports and the National Youth Council, to create nationwide adoption of the 30 articles of the UDHR. A press conference promoted the visit nationally. They then traveled farther east to India for the 6th South Asia Regional Summit. Additionally new partnerships were formed and plans made for another year of extraordinary human rights education across South Asia. The tour then ventured yet further east to Taiwan for the 6th Asia Pacific Human Rights Summit. The three-day affair included youth delegates from Argentina, India, Japan, Malaysia, Nepal, Sri Lanka, the US and of course Taiwan. The tour arrived in Cambodia, where Dr. Shuttleworth and her team were taken to the Cambodian Killing Fields, where more than a million people were murdered and buried by the Khmer Rouge regime in the 1970s. In stark contrast, though, Dr. Shuttleworth saw change and hope toward a new tomorrow of respecting human rights, when she met with the Cambodian Human Rights Committee and the offices of the Ministry of Justice, the Ministry of Education, Youth and Sports and other agencies, all to discuss real implementation of human rights education in the nation. This year’s 35,058-mile (56,420 km) journey through seven countries was held in celebration of the 70th anniversary of the United Nations Universal Declaration of Human Rights. Then from blatant human rights violations, to more subtle, yet just as serious transgressions, the team arrived in the US for the first North American Regional Summit. It included a human rights Cherry Blossom Concert on the steps of the Lincoln Memorial where 30 volunteers distributed more than 4,500 What Are Human Rights? booklets. The trip was honored with the flying of the US flag over Capitol Hill. The tour concluded in Mexico for the 4th Latin American Regional Summit, co-sponsored by the Governor of Puebla State and the Integral Development of Family Institution. The World Tour’s final event was shown on TV Azteca and Informativo TV. 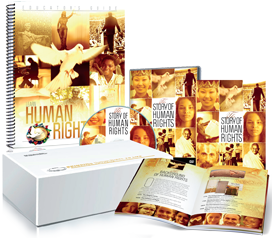 In total, 28 events were held across seven countries with 53 pieces of national and international media, all while promoting the need for fundamental human rights education to be mandated in all nations.